1. Set out Cool Whip to defrost as you work. 2. Bring cream cheese to room temperature and chunk into pieces in a mixing bowl. 3. 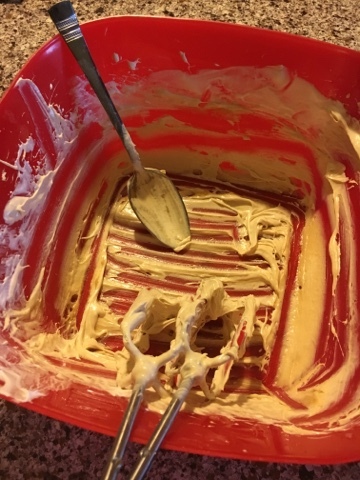 Add peanut butter, sugar, vanilla, and milk to mixing bowl. 4. Mix on low to combine. 5. Add 1/2 of partially defrosted Cool Whip and mix on medium until combined. 6. Repeat with remainder of Cool Whip. 7. Mix on medium until smooth and fully incorporated; add another splash of milk if mixture is too sticky to mix well. 8. 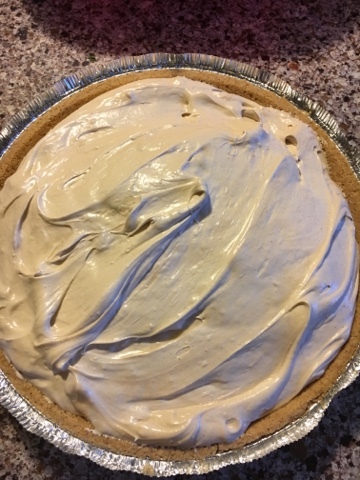 Pour mixture into graham cracker pie crust. 9. Cover and freeze for at least one hour. 10. Lick bowl and spoons and beaters - trust me on this. 11. Remove from freezer 15 minutes before serving to enable you to cut it easily. Use a hot knif to cut it if you have trouble. 12. For a fancy presentation, add peanut butter chips or chocolate flakes or crushed butterfinger candy bars. I usually just serve without any garnish though. The best part? It's a one dish cleanup! My mom used to make this! !